You provide the parts, we provide our assembly expertise—it's that simple. Our labor-only assembly services require nothing from you other than part delivery. After you provide the parts, we take it from there. And when your assemblies are ready, we return any unused parts. It’s completely headache-free and seamless. 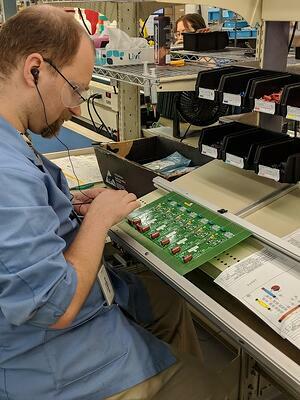 Labor-only services are a great option if you already have a contract with an electronics and control panel supplier but need to outsource some of the assembly work. We help keep your prices down by not imposing add-on services you don’t need. Plus, we immediately audit your parts kit against your packing list for quantity shipped, quality, and identification. Whether you require our turnkey or labor-only services, you can rely on our responsiveness, dedication to quality, technical support, and highly specialized capabilities to deliver consistent, repeatable, and reliable results. Once an order is released to production, it’s processed efficiently with the same priority and rigor as all of our small batches.